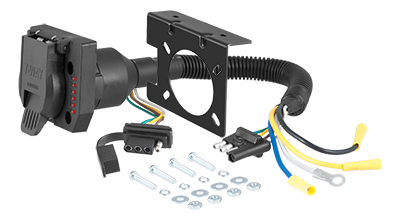 CURT electrical products are designed to deliver unsurpassed levels of performance, reliability and durability. The use of surface mount technology (SMT) components is just one of the steps CURT has taken to achieve this. SMT components are the most up-to-date parts available for circuit designs. SMT components offer lower resistance, reduced heat generation and longer life cycles.